Happy middle of the week! How has everyone's first half of the week been going? My week got off to a bit of a rocky start but I think the week is going to end on a great note. I just have a feeling! I was thinking about the blog and realized I hadn't done a "What I am Loving Wednesday" in weeks! So I figured I was well over do for one. I felt like sharing the little things that are making me happy this week! Even though I am not crazy excited about the snow and cold weather that has been hitting Minnesota lately (below zero with negative wind chill! ), I am loving new cozy sweaters! I purchased three new sweaters this weekend when I went shopping with my mamma! Think little boutique kind of shops (a favorite of mine). There is just something about cold weather and cozy sweaters that go hand in hand! Don't ya think? Bought something similar to this in black and cream! I am loving this necklace that I found at Target! I am loving homemade snacks! More specifically homemade Larabars! They are so much better then the store bought ones, and to me they taste a whole lot fresher! I cannot wait to try out more flavors, Key Lime Pie here I come! I am loving that I got to have coffee with an old friend yesterday that I have not seen in ages. I am loving that a good conversation over coffee can leave you relaxed and at ease with life. It was truly good to catch up, and talk about our lives. I really needed that! And on a coffee note while my mom and I were shopping in the little quaint shops of Decorah Iowa we found Cinnamon Sugar Cookie Coffee! YUM! And last but not least a dinner party is always something to love! More specifically a dinner party with friends, wine and recipes from your pinboard! More details on this to come! Oh and just a bit of inspiration to get us through the day! A good reminder to live in the now! Love that verse in Matthew! Worrying is so useless! Have a great day! That verse is a perfect reminder for me! Thank you! Happy Wednesday! I am wearing a white chunk necklace today! They really do go with everything I adore mine. Good luck with that weather! At least you will look cute whilst fighting it! That coffee yall found sounds so delicious :) & the necklaces and sweater are super cute! I'm loving all these things! Thanks for sharing! I love that scripture! It's perfect to ease the mind. And that necklace is gorgeous! I love shopping at Target. 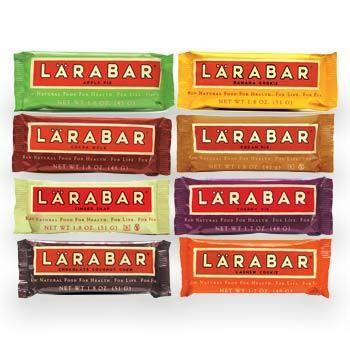 Can you believe that I haven't tried a larabar. I know. It's like a sin or something. Oh heavens, I LOVE that first sweater. And Lara Bars are like candy for me. I can't get enough! Love the things you're loving! Coffee dates are great, along with really cute new necklaces :) Happy hump day! Love that quote at the bottom. Such a great reminder. I love new sweaters in winter time! I have been snuggling up under blankets so much lately - I love it! And good verse at the bottom - I always need that reminder! Aren't coffee and friendships the best cure for any problem? i think so. I treasure my friends! I love those Target necklaces, they have some really good stuff at times. Love that sweater. Even better in black and cream! Wow great Target find!! I love that necklace!!! I love the necklaces, and your blog. Excited to follow along. Having coffee with an old friends is just the best...especially when you can pick up where you last left off like nothing happened! I love those necklaces - they'd go with everything! OH how I love that verse! I am a worrier...so this verse needs to be played over and over again in my head! I´m a sucker for a great statement necklace and these looks just perfect! Love them! I love having coffee dates with friends! It's better than a therapy session, I think! And I love that sweater, and those necklaces are to die for! I WANT that red and black sweater!